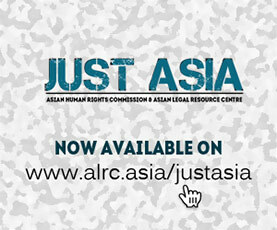 The Asian Human Rights Commission (AHRC) has received information from the Mapithel Dam Affected Villages Organization, Citizens Concern for Dams and Development, and the Centre for Research and Advocacy, Manipur, regarding the imminent threat of displacement and livelihood insecurity faced by those affected by the Mapithel Dam. The AHRC has learnt that the government of Manipur has started blocking the Thoubal River and filling up the dam reservoir without completing mandatory impact assessment and obtaining clearances from respective authorities. The move will submerge many villages downstream while also disrupting the livelihood opportunities for the people. The Irrigation and Flood Control Department of the state government of Manipur has started blocking the Thoubal River and filing up the Mapithel Dam Reservoir since January 2015. The idea was to begin operating the Mapithel Dam of the Thoubal Multipurpose Hydroelectric Project in March 2015. Construction of the Mapithel Dam Reservoir has already submerged large tracts of agricultural land, grazing grounds, and forest areas of Louphong and Chadong Villages, respectively. The filling of the reservoir will further drown Chadong and Lamlai Khunnou Villages in their entirety. Raising the water level will consequently submerge many other villages along the Mapithel Hill Range. Filling up the dam reservoir, without addressing the plight of the affected communities, and in absence of holistic impact assessment of the Mapithel Dam, has already led to serious concerns regarding livelihood security and the survival of the affected communities belonging to the Tangkhul Naga and Kuki people, who will lose agricultural land and survival sources. 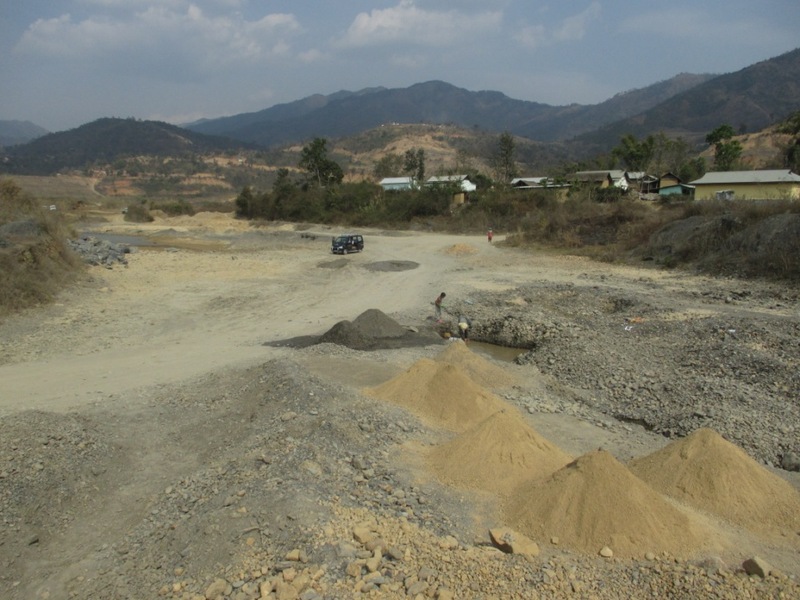 The blocking of Thoubal River for filling up of Mapithel Dam has already led to the drying up of the Thoubal River in the Dam’s immediate downstream, such as Tumukhong, Itham, Moirangpurel, and other areas further downstream in Thoubal District. The drying-up of the River has also brought concerns of imminent water shortage for those residing in the villages located in the immediate downstream of the Dam. The residents, belonging mostly to the indigenous Meitei community, have already started feeling the crunch; they are having difficulties fulfilling even their basic household needs. The villagers can no longer fish and collect sandstone brought down by the Thoubal River, both in the upstream and downstream sections of the River; these have been their economic mainstay for decades. Collection of firewood and seasonal food sources from nearby hills has also gotten disrupted both because of the destruction of large tracts of forest area in the filling up the Mapithel Dam and the increased presence of security forces sent to quell resistance to the Dam. The fact that the Mapithel Dam site is located in a high seismic zone only adds to the worries of the villagers, who fear the consequences of the dam breaking in the eventuality of an earthquake such as the one that recently rocked Nepal. The ongoing filling up of the Mapithel Dam Reservoir is accompanied with the full-scale deployment of security forces of the Government of India, in order to forcibly subdue resistance and democratic protests by the affected peoples who are against the blocking of the Thoubal River. Villagers are strongly opposed to the forceful filling up of Mapithel Dam Reservoir and see the disdain shown to their concerns by the state as a clear instance of an undemocratic and anti indigenous people development policy of the state. The suppression of their dissent has created a fear psychosis among the affected villagers. The ongoing effort to expedite the construction of Mapithel Dam is despite mandatory clearances from the National Green Tribunal (NGT) not having been obtained. The NGT is still considering complaints that the Project has violated Forest Rights under the Forest Conservation Act, 1980 and the Forest Rights Act, 2006. In clear procedural violations, the Ministry of Environment and Forest (MoEF), Government of India accorded final Stage II Forest Clearance for Mapithel Dam on 31st December 2013, i.e. after more than thirty years of project approval (in 1980) without conducting any visits to asses the site and affected areas. The ongoing move to complete the Mapithel Dam construction is marked also by a controversial, coercive, and manipulative rehabilitation and resettlement (RR) process that has caused confusion, division, and violated the rights of the affected indigenous communities. The Rehabilitation and Resettlement is being carried out in a piecemeal and divisive manner and has already caused much controversy and human rights violations. The government of Manipur has acknowledged the failure of the agreement on RR in 1993 and constituted an Expert Review Committee (ERC) on 18 January 2008. However, the government withdrew from the ERC process after seven rounds of talks in February 2011. Following that the government of Manipur began verification at Lamlai Khunou and Chadong Villages from 29th October 2012, forcibly and arbitrarily, with presence of sizable security forces to quell the communities’objections. The verification based on Ukhrul District DC’s order, dated 28 September 2012 and 26 March 2013, is a direct violation of the stay order of the Gauhati High Court on 25 April 2012. The construction of Mapithel Dam is still fraught. A detailed impact assessment on communities, with their rightful participation, impact on forest land and other livelihood sources, and impact further downstream Thoubal River is still missing. The Japanese International Cooperation Agency (JICA) is preparing to finance a Water Supply scheme for Imphal Town from the Mapithel Dam. JICA’s support will only facilitate greater inconvenience, harassment, and human rights violations for the communities affected by Mapithel Dam. 7. Japanese International Cooperation Agency (JICA) stops financing the Integrated Water Supply Scheme to draw water from Mapithel Dam for Imphal Town until the serious and adverse social and environmental impacts of the project on the affected people are assessed. Manipur witnessed the commissioning of a series of mega dams in the 1980’s and 1990’s; most of these projects have either failed entirely or are seriously underperforming. A few examples of the absolute failure of such projects are the Singda Dam, which failed to generate a single unit of power as against its promised capacity of 750 KW, and Khuga Dam, which too produced no power as against the promised 4.5 MW. Similarly, Khoupun Dam and the Loktak project have both failed to full their objectives of providing irrigation and power. Instead of learning its lessons from such massive failures, as well as from serious environmental and security concerns raised by the civil society, the government of Manipur has pursued construction of more hydroelectric power projects under the controversial Manipur Hydroelectric Power Policy, 2012. Of late, International Financial Institutions like the Asian Development Bank, the World Bank, and the Japanese Bank for International Cooperation are financing energy and allied infrastructure projects without the appropriate impact assessments of such projects on the environment and the people being conducted. Please write to the authorities mentioned below demanding intervention in this case. The AHRC is writing separately to the UN Special Rapporteur on the Rights of Indigenous Peoples as well as the UN Special Rapporteur on Adequate Housing asking for their intervention in the case. The AHRC is writing a separate letter to the UN Special Rapporteur on the rights of the indigenous peoples and UN Special Rapporteur on Adequate Housing as a Component of the Right to an Adequate Standard of Living seeking their intervention in the case. Place of Incident: Thoubal district, Manipur. I am writing to you to voice my serious concerns over the imminent displacement of the people affected by the Mapithel Dam. As you must be aware of, the Irrigation and Flood Control Department of the state government of Manipur has started blocking the Thoubal River and filing up the Mapithel Dam Reservoir since January 2015. The idea was to begin operating the Mapithel Dam of the Thoubal Multipurpose Hydroelectric Project in March 2015. Construction of the Mapithel Dam Reservoir has already submerged large tracts of agricultural land, grazing grounds, and forest areas of Louphong and Chadong Villages, respectively. The filling of the reservoir will further drown Chadong and Lamlai Khunnou Villages in their entirety. Raising the water level will consequently submerge many other villages along the Mapithel Hill Range. Fax +91 11 2465 1329.